Allow me to be philosophical for a moment. I think that one biggest problem we face as a human race, is our tendency to discourage people to be different. We see this in all areas of our lives. From politicians who try to force everyone to only having one culture (the culture they happen to define as the national culture of that country). To religion, which is based almost entirely on conforming people into a single way of life. To people looking oddly at you if you show up to an important meeting not wearing a tie. I believe this is wrong. I believe that diversity is vital. We need to do whatever we can to break the norm, accept cultural difference and other opinions. I'm not talking about destructive differences (don't break things) but disruptive differences (change things). This is especially true in our ultra-connected global world. If everything is the same, we only have one market. In a one-market industry there isn't any room to be an entrepreneur. It is totally dominated by huge companies with big market shares. Companies that are so big, that you can't beat them. And with only one market, you can't change it either. There is nothing to change to. If everyone believes the same thing, wears the same clothes, and works the same way, they never realize that they could do something else. When something do break the pattern, many people tend to act against it. They should be embracing it. 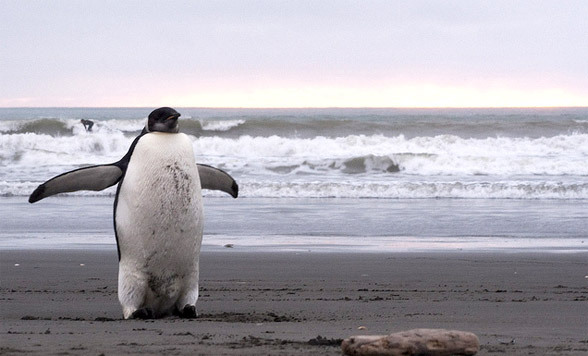 You might not have heard about it, but right now you might encounter a penguin walking about on a beach in New Zealand. That is very unusual since it is more than 44 years since it last happened. She is 1,600 miles away from her home in Antarctica. Most people think she is obviously lost. Maybe she is sick. Maybe she took a wrong turn. She is obviously stranded (as one newspaper put it). Something is definitely wrong, and since we (the people) didn't do anything, the penguin must be the one who made the mistake. What should we do? Shoot it? Put it out of its misery? Take it back to where it belongs? Put it in a zoo? Many people even suggest that we should put it back into the water - as if she is a stranded whale. I mean, we can't just leave it there. It's wrong! I think the real story is entirely different. There is nothing wrong - she wanted to be different. She is the penguin equivalent of Christopher Columbus. 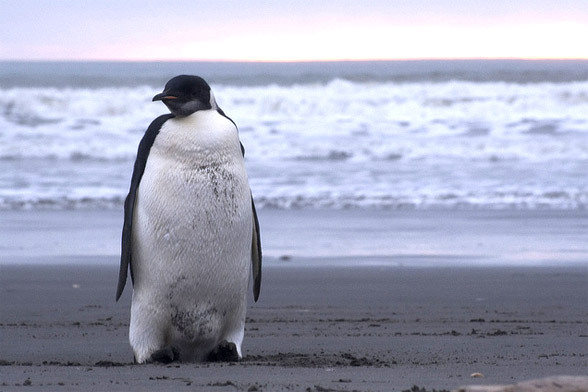 While most penguins are content with the status quo, this penguin has always wondered if there is something else to life. Is Antarctica the only place in the world? Is there another world on the other side of the ocean? So one day, she told her friend a family that she wanted to know. She wanted to explore. And she embarked on her long journey across the water. And a few days ago she arrived in this new place. A place where the ground isn't covered with ice. Where there is a lot of green stuff that tastes funny. Where the sun is warm and fuzzy. Where strange creatures with very skinny wings walk around with hairy four-legged creatures attach to a string. ...and when she stops walking for a bit. These strange creatures will come closer, put something shiny in front of their faces, and a flash of light will momentarily appear. Then the creatures would look happy that they could make flashing lights, and they would show it to all their friends. She is not lost. She is an explorer. She is an entrepreneur. A penguin who challenge the status quo. The ones who are lost are the people who cannot accept that something is different. That someone has decided to break the pattern. If you are reading this site, you are just like this penguin. Most people do not understand what it is you do. Why you change things and why you don't accept the status quo. So here is to the penguin, and all of you just like her! Or maybe she is just like Pablo. She sure seems to like the sun.